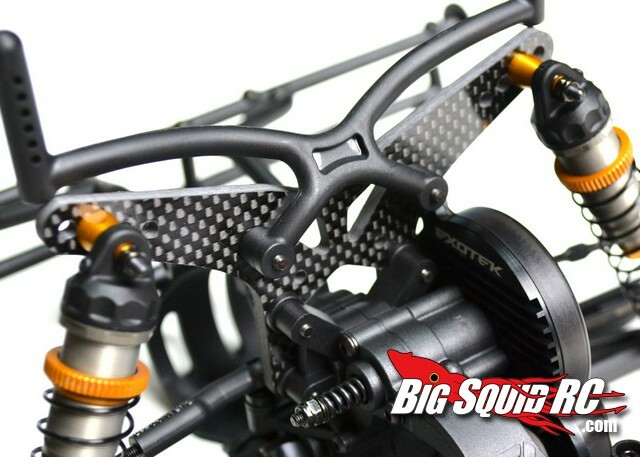 New Exotek Racing Option Parts for Durango 210 Series « Big Squid RC – RC Car and Truck News, Reviews, Videos, and More! One of the best reasons to own a Durango 210 series vehicle is the vast amount of hop-up parts available for them. Exotek Racing is one of the aftermarket companies that have been strong supporters of the Durango line and they have just announced another round of option parts. First up is a new carbon fiber rear shock tower for the DESC210 short course truck that is 4mm thick and has a price of $40. 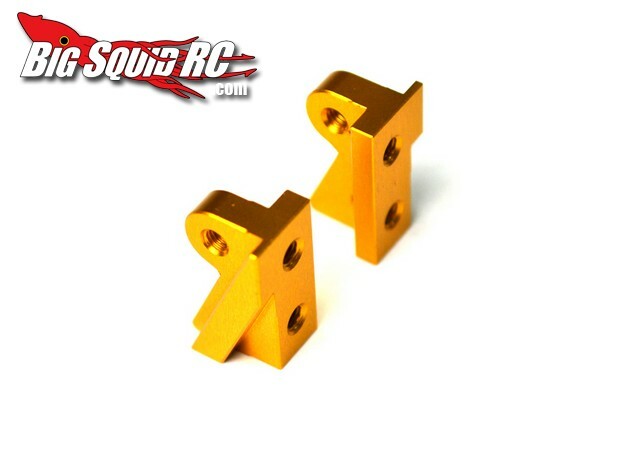 Next is a gold anodized front bulkhead that fits all three of the 210 series vehicles. This is made from a heavy duty T6 aluminum alloy and has a price point of $20. 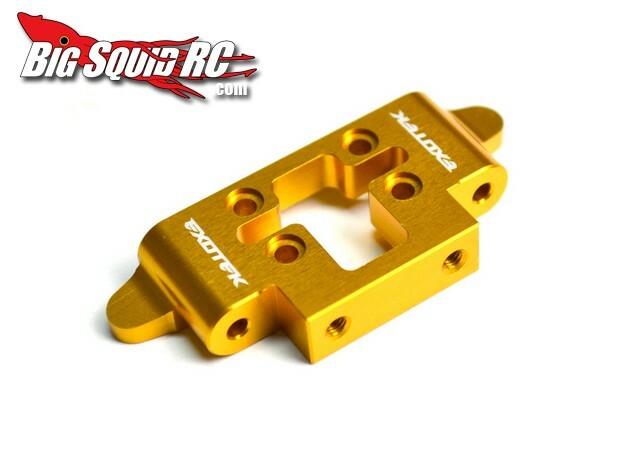 Lastly, Exotek have announced some uber-trick gold anodized servo mounts. These lightweight mounts have a price of $12. You can find more information on these parts HERE on Exotek’s official website. Hit THIS link for even more Exotek Racing news here on BigSquidRC.